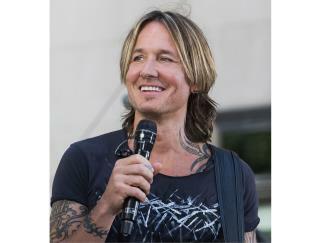 (Newser) – A New Jersey woman who thought she was helping a down-and-out man pay for his gas station food ended up footing the bill for country music star Keith Urban. Per the AP, Ruth Reed says she met Urban at a Medford Wawa ahead of his concert Friday night in Camden. Substitute teacher Reed says she had made a resolution to help Wawa customers and jumped at the chance when the man ahead of her was short a few dollars. Hey Keith, how about having your bodyguard pay for your cr@p? You could at least reimburse him because you see him everyday. Better yet, don't buy something you can't pay for. Could give an indication of his appearance and grooming? I think that superstars are used to having things bought and paid for them. I thought that this guy had a lot more class.